TUESDAYS 5:00 p.m. to 6:15 p.m. AND THURSDAYS 5:00 p.m. to 6:45 p.m. January 12 – March 2, 2017. Environmental and Natural Resources Building 2 (ENR2), Room N120, 1064 E. Lowell St.
“This spring students of all ages will have the exciting opportunity to learn about and discuss politics with one of the greatest public intellectuals of our time, Noam Chomsky. Chomsky and UA emeritus professor Marv Waterstone will coteach a seven-week class titled “What Is Politics?” that is both a general education course for UA undergraduates and a Humanities Seminar class for community members. 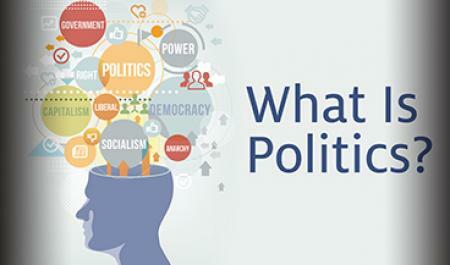 Connecting students from multiple generations and political outlooks, this course is sure to stimulate ideas, debate, and dialogue. The course examines industrial state capitalism as the dominant organizing principle of our economy. Throughout the course students will interrogate the consequences of this orientation, including threats to the human species such as climate change, potential nuclear terrorism, and the expansion of militarism and warfare. These consequences also encompass the less spectacular, but nevertheless devastating, effects of globalization and unfettered capitalism on social inequality. At the heart of the class students will explore possible responses and resistances to these phenomena, and will investigate the achievements and difficulties involved with agitating for progressive change. Where: Environmental and Natural Resources Building 2 (ENR2), Room N120. This room is a large auditorium. It is wheelchair accessible and has an assisted listening system. Parking: The Sixth Street Garage is immediately east of the classroom building. The garage is on the south side of the campus between Park and Highland Avenues. The hourly charge is $2 before 5 PM and $1 after 5 PM. Tuesday Class Overview: The Tuesday lectures will be conducted by Professor Waterstone and will present a theoretical, conceptual, and historical contextualization of the week’s topic. Thursday Class Overview: Professor Chomsky will use concrete examples (mostly drawn from the news to provide “real life” lenses) to illustrate the concepts articulated on Tuesday, after which there will be a Q & A with Professor Chomsky and a UA faculty expert on that particular topic. Reading and Syllabus: Detailed reading assignments and syllabus will be available closer to the beginning of the course. The readings for adult students can be accessed online. Printed material will not be available. > Nice reading your blog. You are so active everywhere! This is Li Schmidt, family doc, who does silk/bamboo music: http://samedayfamilymedicine.com/community-outreach/. We have run into each other few times at TCCC and Himmel Park library once. > I saw your article about POL105C2. I have a close friend, a UA alumna who got her PhD in MIS here, and has been following Chomsky for a long time. She noted that Chomsky (a linguist) and Waterstone (a “marxist geographer”) are not political scientists, they are actually radical political activists with a sad history of disregard and disrespect of scientific validity. Such people, she opines, are not qualified to teach freshmen at a university, where teachings are expected to be based on science, not on information sources that lack the required expertise. She is strongly opposed to this choice of teachers if the idea is to teach future generation how to think by utilizing non-biased, evidence based, approach. The choice of Waterstone and Chomsky would probably work well if the idea is to indoctrinate young students with radical-left ideas..
image1.png (It does not copy and paste. If you are willing to give me your email address, I can forward the 1st page of the article to you. Apparently the rest, requires a fee to read it.). Hi Li, yes — I remember you as you (as a doctor) spoke at the Tucson Chinese Cultural Center and I have also seen you performing with your Purple Bamboo troupe. Thank you for the information on Prof. Noam Chomsky, but he is a popular speaker at the University of Arizona. I suppose objections to his politics class (which is already full) should be directed to the new Dean of the College of Humanities A.P. Durand or Kerstin Miller at humansem@email.arizona.edu. Nice reading your blog. You are so active everywhere! This is Li Schmidt, family doc, who does silk/bamboo music: http://samedayfamilymedicine.com/community-outreach/. We have run into each other few times at TCCC and Himmel Park library once.